Britt and Tara, our Los Angeles City editors want to share with you their go-to natural immune boosters for staying in the high vibrations of incredible health, joy, and happiness--and just generally feeling healthy all year round. Allergies and getting sick from the flu this time of year is not our jam, so we always aim to get in front of not feeling our best with a preventative lifestyle! If getting a flu shot doesn’t sit well with your intuition, there are plenty of other options to staying healthy between now and the Holiday season. Britt hasn't gotten sick in almost 10 years and has clean-eating and these other remedies to thank! We both use these techniques to keep our bodies and minds running in the best shape possible and we ramp it up this time of year when immune systems are running low. We use gemmotherapy, herbs, supplements, and teas on the regular, especially if we ever feel something coming on. Gemmotherapy is so powerful and it is something we are really passionate about educating and inspiring those around us to use. Herbs are also amazing for children. Everest, Britt’s daughter, has actually never had to use anything other than herbs her whole 18 months of life and has never had more than a mild, stuffy noise. The best herbs to use for allergies are Black Current and Briar Rose. For ear, nose and throat infections, Briar Rose, Black Currant, Red Spruce are best. For colds and flu, use Black Currant, European Alder, Common Birch and for winter prevention, use Briar Rose for kids and Black Currant and Common Birch for us adults. You can just put in the recommended drops in water and they boost the immune system. You will be amazed at the results! Chyavanprash is a traditional Ayurvedic herbal jam made in a base of amalaki fruit. It balances the body against stress and supports energy, vitality and overall well-being. It truly is magic! 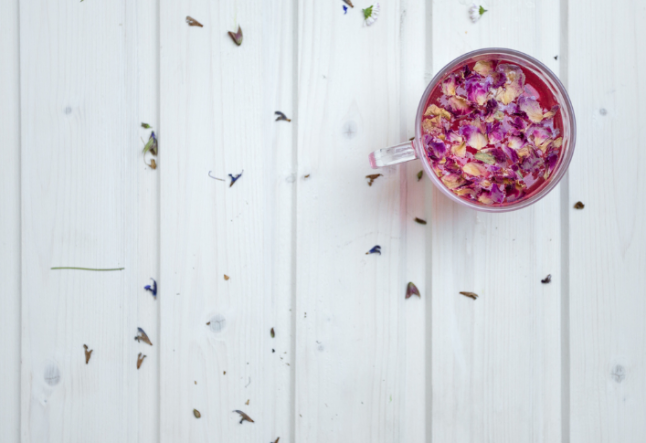 Yogi Bhajan, who introduced Kundalini Yoga to the United States, created this formula as an immune boosting supplement and this Echinacea Yogi Tea for when you need an extra immune boost. Another amazing way we can boost our immune system is through meditation and with sun breath, a pranayama practice, which is part of the Kundalini Immune System Booster Meditation. Yogi Bhajan, the Kundalini yoga master, spoke about this meditation saying, “this advanced immune therapy hits at viruses and bacteria. The immune system interacts with the central nervous system, the glands and emotions." We are each given the strength to encounter life and life's challenges. We have moral strength, mental strength, emotional strength, and physical strength. All these strengths are interconnected. We block the flow of that strength when we experience feelings of anger, self-defeat and blame. To boost the immune system, we must overcome these blocks. The right hemisphere of the brain stores many of the diffuse negative emotions that lead us to depression and to a lower-functioning immune system. This meditation stimulates the sympathetic nervous system and the right hemisphere to adjust themselves. In this process, you may go through various emotions as the glands start to shift their balance. That is fine. Relax and keep going until you are through the emotional inertia, then you will feel light, energized and hopeful. With gradual practice you can take the time up to 31 minutes. At that level your whole system is cleaned and rejuvenated. The immune system will have new vigor and will not be blocked by inner conflict. To do this meditation check out here our video by Tara going through this powerful immune booster! You can also play mantras like “Ra Ma, Da, Sa." They will raise the vibration of your energy into the healthy range and the power of sound can be so healing, although it’s not the first thing we might think of to help prevent us from getting sick. When we chant high vibrational sound currents like this one, it stimulates the pituitary gland and releases hormones that help us to feel good and stay healthy. Tara also loves to use a neti pot for allergies and we eat a healthy, clean vegan diet. We also drink alkaline water to stay healthy and happy. Eating garlic is also a way to naturally support your immune system, which clears harmful bacteria and preserves the natural, beneficial flora in your body. Bio- Britt and Tara are the co-founders of Elevate the Globe, Kundalini Yoga and Meditation instructors, and best friends on a mission to help more people elevate their consciousness and experience living life in the high vibrations of joy, freedom, and true happiness. They will now be contributing weekly to YOGI TIMES and are our LA City Editors. They will bring us the newest and truest spiritual wellness spots in Los Angeles.